2019 Polaris Industries RANGER CREW® XP 1000 EPS: Click here to view the model. 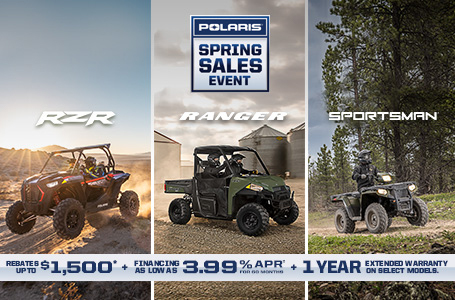 2019 Polaris ACE®: Click here to view the models. We sell Polaris ATV's and Rangers. Plus we offer a wide variety of equipment rentals for the homeowner, contractors, farm and ranch, and oilfield. We service and deal in small engines for Yamaha, Briggs & Stratton, Tecumseh, Honda Power and Kohler. We also sell and service Stihl and Toro products. Our experienced techs are up to date with dealer standards, they are here to help with any servicing or questions you may have for your small engines. So stop by today we are here to help!